You'll explore the less-touristy side of things at Rossbeigh Beach and Killarney Races. Step out of Killarney with an excursion to Kenmare Golf Club in Kenmare--about 42 minutes away. 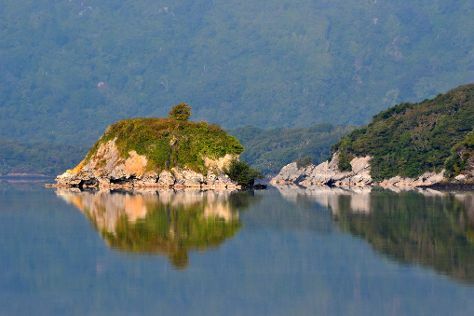 Spend the 21st (Sun) exploring nature at Killarney National Park. The adventure continues: admire the natural beauty at Muckross House, Gardens & Traditional Farms. To see other places to visit, where to stay, reviews, and more tourist information, refer to the Killarney trip itinerary maker. Use the Route module to find suitable travel options from your home destination to Killarney. Expect a daytime high around 20°C in August, and nighttime lows around 13°C. Finish up your sightseeing early on the 23rd (Tue) so you can travel to Waterville. County Kerry's picture-perfect holiday resort of Waterville is a weekend getaway once favored by Charlie Chaplin's family. 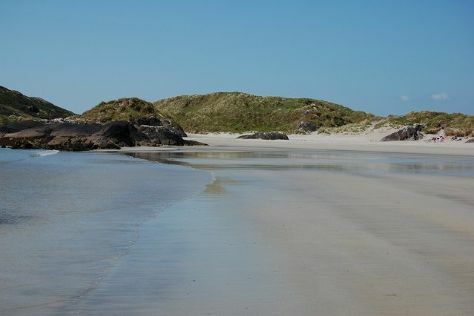 Kick off your visit on the 24th (Wed): kick back and relax at Derrynane Beach and then kick back and relax at Ballinskelligs Beach. For photos, traveler tips, reviews, and more tourist information, you can read our Waterville trip generator. The Route module can help you plan travel from Killarney to Waterville. August in Waterville sees daily highs of 20°C and lows of 13°C at night.